My name is Cayla Gallagher and I’m the creator of pankobunny! I started my YouTube channel pankobunny in March 2013 after watching YouTube videos for a while, and wanted to be part of something that seemed to bring people so much enjoyment and happiness! I had initially planned on making Japanese recipes and using my channel as a way to teach Japanese language and culture to people through cooking. It quickly turned into a creative outlet for me, where I could combine two of my loves: cooking and the ‘kawaii’ culture in Japan! I not only hope to familiarize my amazing viewers with Japanese ingredients that are uncommonly used in the West, but also show people that it isn’t hard to turn food into something cute and aesthetically pleasing! In other words, edible cuteness! I have my Bachelors degree in Asian Language and Culture (in Japanese) from the University of British Columbia in Vancouver, Canada, and my Masters degree in Interpreting and Translation (in Japanese) from the University of New South Wales in Sydney, Australia. Japan has been a huge influence in my life since high school and my love of languages inspired me to major in Japanese in university. 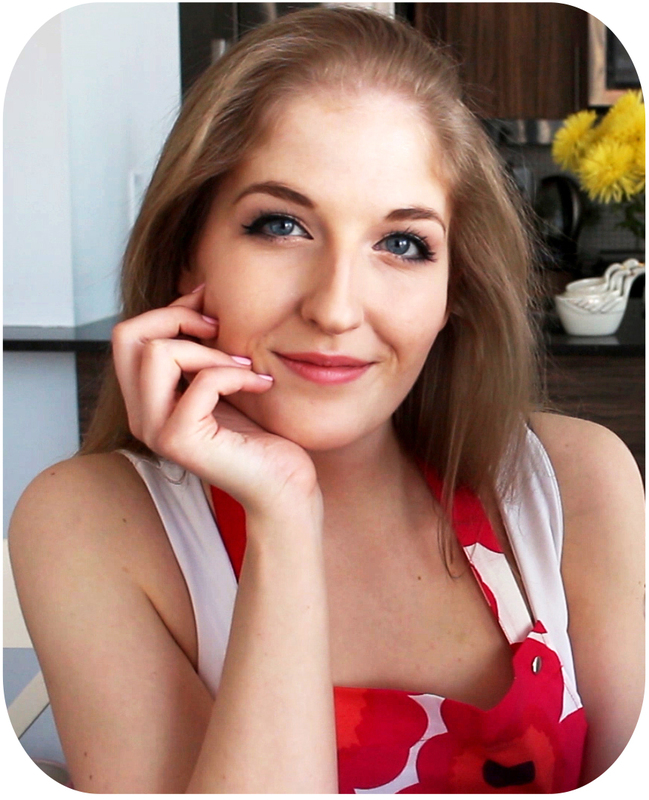 I started my YouTube channel just before commencing my Masters degree, and combined my love of translation with my passion for cooking, and have somehow ended up becoming my own translator for my channel! Everything on my YouTube channel and this website is bilingual, and I cannot express the joy it gives me to interact with all of you in both languages! So now, what about you? I think it’s incredible that my lovely subbies are from all over the world, so comment below and tell me where you’re from! I’d love to know! These aren’t only yummy, but healthy too! Somebody is enthusiastic about side tables today! I had always wondered where your Japanese skills came from.. now i know! Its really exciting to know that you studied in Australia! which is where I’m from. Could you please tell me what UNSW was like? Ive heard the social life isnt very good.. but Ive thought about going there. I also wonder how old you are.. it seems like you’ve done a few degrees. Do you have a job outside of youtube? Ive thought about majoring in Korean studies at university but I’m worried about future job opportunities. Ok super long message… anyways love your videos! I apologize for taking a while to reply to you! I’m 25 and finished my Masters at UNSW about a year and a half ago. I’m pursuing YouTube full time right now and I love it! To be completely honest, majoring in Japanese and Translation was really fun, but there aren’t many job opportunities, so it can be tricky to find a job. There might be more job prospects in Korea for those majoring in Korean Studies, but there might not be as many opportunities in the West. I had that issue, which is why I’m pursuing YouTube as a full time job. I hope all of this helps!! And thank you so much for supporting my channel! Hi, is very nice to see all your videos you are very sweet and I’m mother and I would like to make something similar like the sticks with sugar for coffee or tee quiet posh looking but I would like to ask you if you can make this but with honey and this sticks with sugar look like cristals when you put into a hot drink started melted. You are so great maybe you can find out the receipie for this. Hello! I’m not quite sure what you mean. Do you mean sticks made out of honey that can be stirred into your tea? I don’t have any recipes like that right now, but I can definitely create a recipe for this in the future! I really like your videos, you make such cute desserts and snacks. Thanks for sharing! Thank you so much, that’s so sweet! Fell in love w ur videos as you seem smart in explaining quickly and concisely. I used to watch ochikeron but her movements were slow and hers seem like she ran outta ideas. Then found yours I love your creativity. I studied in Syd as well kekeke. I’m A freshman in college. I really want to make your Valentine’s flower marshmallows. I was wondering where did you buy your mold for the marshmallows?